The freezing temperatures have caused an underground water pipe to freeze and burst, creating another sinkhole in Brussels. 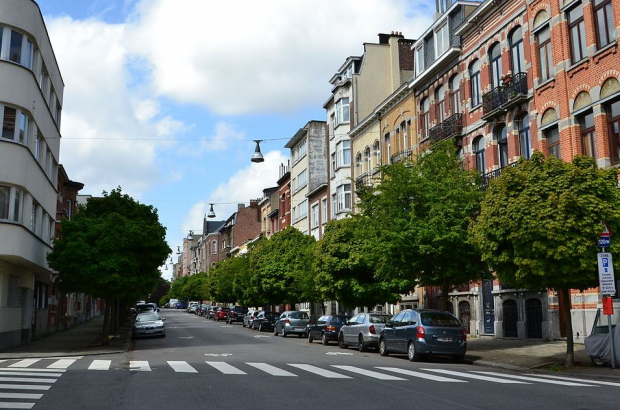 This time the two-square-metre hole has opened up in Avenue Jan Stobbaerts in Schaerbeek. The hole hasn’t caused too many problems in the largely residential street near Josaphat Park as there is enough space for a lane of traffic to bypass it. The hole opened up yesterday, and the Vivaqua water utility is on site today working to fix the pipe. This is the third sinkhole in the capital since late August, when part of a street collapsed near Central Station. About a week later, a much larger sinkhole opened in Saint-Josse, causing a railway line to flood. There was major disruption to both train and car traffic, and some 250 people had to be evacuated from their homes. Though the Central Station sinkhole has been completely repaired, there is still work being done in Saint-Josse.